Lovely well maintained Eton model is located on a quiet cul de sac. 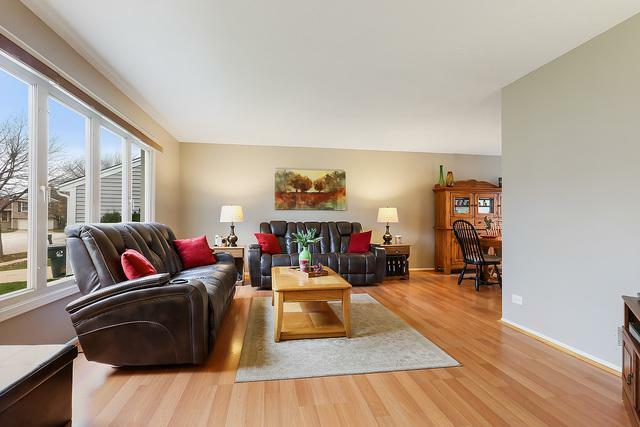 This 4 bedroom home features easy care wood laminate floors. 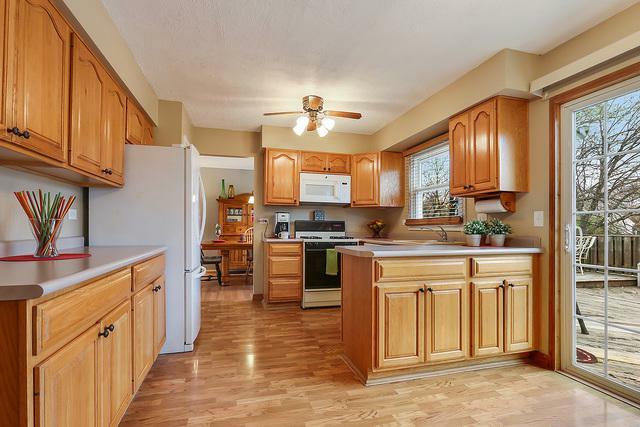 Large Kitchen with newer appliances. Sliding deck opens to large two tiered deck and fenced back yard. Lower level family room (currently used as craftroom) is bright and sunny with large windows and recessed lights. Upstairs you will find a large master suite~private bath~walk in closet. 3 good sized bedrooms with lots of closet space. 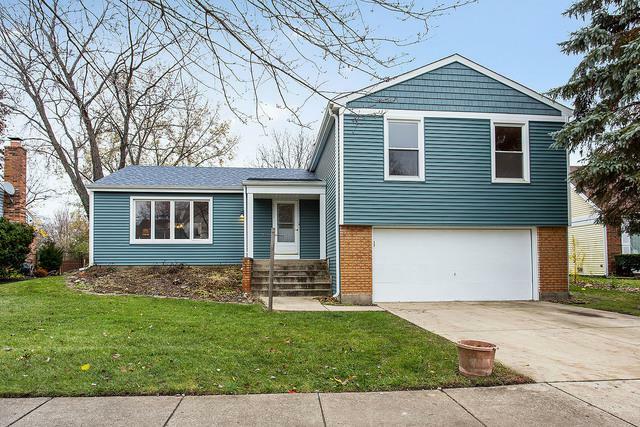 Many new updates- Furnace/AC 2018,New chain link fence 2018, Siding/Roof/soffit/fascia 2014,Garage doors,gutters with gutter guards 2012, 2018 Master bath shower and tile,2016 whole house painted,2008 crawl space draintiles, sump pump and concrete floor- Newer windows and doors, blown in insulation in attics, updated light fixtures. 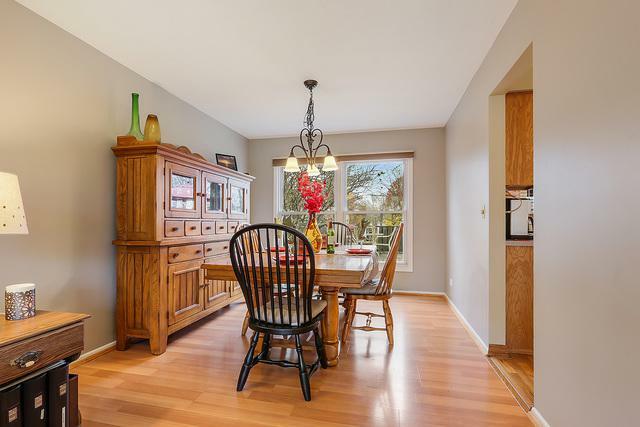 This popular Deerpath sudivision is close to train,xpressways,shopping,dining,schools, parks, and aquatic center.